The most basic thing to know about gemstones is that, like diamonds, there are four categories that help define the stone and assess its value. These categories are known as the 4 Cs, which stands for cut, color, clarity, and carat. Though gemstones and diamonds share many things in common, the 4 Cs have different implications for gemstones than they do for diamonds. In this article we will explore the cut of a gemstone, what it means for the value and beauty of the stone, and how to go about choosing the right cut. 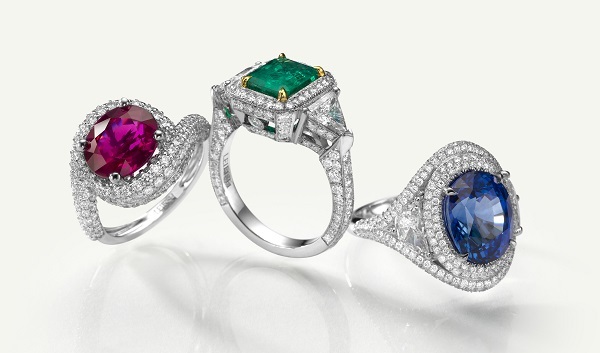 Colored gemstones are some of nature’s most beautiful specimens. Similar to color diamonds, gemstones are very much about color. Depending on the type of stone, its size, color, and its condition, the proper cut is chosen. 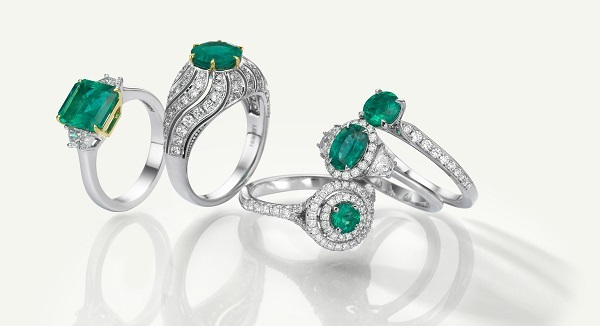 Essentially, a gemstone’s cut is designed to enhance its natural beauty. There are no official rules and grades for gemstone cuts, but the general idea is to have a stone that can reflect light evenly and that does not display darkness or windows. It is important for the facets of a gemstone to be symmetrical. The facets on the top or crown are responsible for capturing light while the facets on the bottom or pavilion are accountable for reflecting light from within the stone. The capturing and reflecting of light, in and from the stones, results in visual effects of all sorts. In order to ensure that the gemstone you are looking at has a high quality cut, you are going to want to make sure of a number of things that can be learned from the ways in which gemstone cutters decide to cut their stones. Cutters generally cut a gemstone with a few things in mind. Their priority can be maintaining the stone’s unusual size, enhancing its rare color, reducing the various inclusions and thereby improving the overall clarity of the stone, and it could be providing the gemstone with the best symmetry and proportionate dimensions as possible. Since it is impossible to achieve all of these objectives, or to know what the main obstacles were before the gemstone was cut, the crucial thing to pay attention to is the symmetry of the facets, how well the light is reflected, and how smooth and flawless the polish is. These characteristics can be present in a gemstone with various color levels and types, as well as in stones of different sizes, so regardless of how important the remaining 3 Cs are to you, make certain that your gemstone has a quality cut. It is important to bear in mind that gemstones have nearly identical external structures as diamonds. They generally have a table, crown, girdle, pavilion, and culet. The table is the very center of the stone’s surface, the crown is the entire top portion of the stone, the girdle is the top third portion of the pavilion, (which is the diamond’s “body”), and the culet is the lowest point of the stone. Though the way in which a stone is cut can affect its final shape, it is not one and the same. Similarly, a gemstone’s weight and size are not interchangeable, as two stones weighing exactly the same can appear to be different sizes. Therefore, if a large size is a priority but budget is an issue, look in to stones with wider tables and shallower pavilions. This will result in larger-looking stones even with lower carat weights.